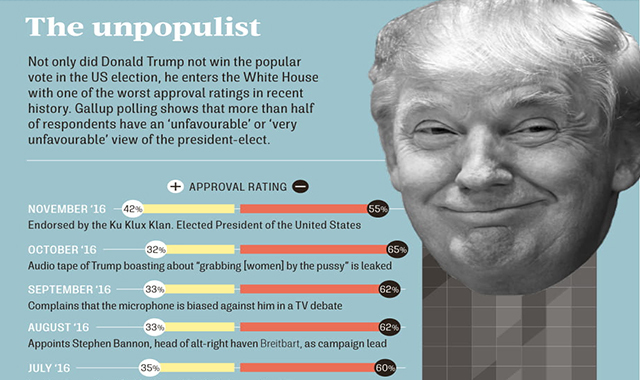 Trump the unpopulist #infographic ~ Visualistan '+g+"
Do you approve or disapprove of the way Donald Trump is handling his job as president? Like most surveys that predict public opinion, the approval rating is subjective. Many unscientific approval rating systems exist that skew popular opinion. 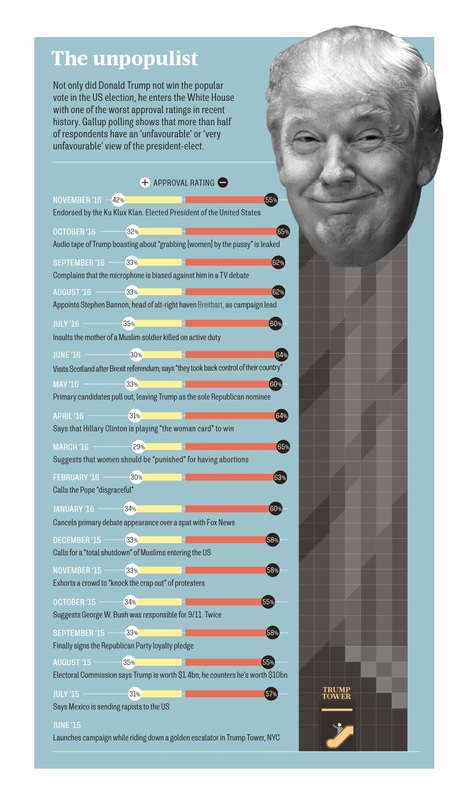 However, the approval rating is generally accepted as a statistically valid indicator of the comparative changes in the popular United States mood regarding a President.Infographic tracking Donald Trump’s popularity over the course of his presidential campaign.